click here Located 7 miles south of Poughkeepsie, we support Ground Services to both general and corporate aviation with engine pre-heating, jump starts & GPU, limo and hotel reservations, LAV services and much more. For more information, please call the front desk at 845.849.3770. Photo courtesy of Guido at CFM. Airport Lighting Schedule WHEN ATCT CLSD ACTIVATE HIRL RY 06/24; REILS RY 24; MALSR RY 06 - CTAF. Landing Fee YES; LANDING FEE FOR MULTI-ENGINE AIRCRAFT. Traffic Pattern Altitude TPA SMALL ACFT 1034 FT, LARGE ACFT 1834 FT.
Airport Certification PPR 24 HRS FOR ACR OPNS WITH MORE THAN 30 PSGR SEATS; CALL AMGR 845-463-6000. INDEX "B" COVERAGE IS PRVDD. CTC FBO DURING BUSINESS HRS AT (845) 849-3770 FOR AFTER HRS FUEL SERVICE. TWY B-1; 'G' T-HGR TAXILANE; & 'J' T-HGR TAXILANE CLSD TO AIR CARRIER ACFT. RWY 06 EMAS OTS INDEF. FOR CD WHEN ATCT CLSD CTC NEW YORK APCH AT 516-683-2448 OR 121.8. RWY 15/33 CLSD TO ACR ACFT. NOISE ABATEMENT PROCEDURES IN EFFECT CTC ARPT MGR FOR DETAILS. RWY 07/25 RESTRICTED TO ACFT LESS THAN 12,500 LBS. 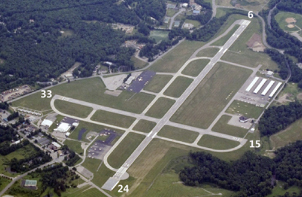 RWY 07/2 5 CLSD NGTS; DURING IMC & FROM NOV 1 - APR 15. COMMUNICATIONS PRVDD BY NEW YORK FSS ON FREQ 122.4 (POUGHKEEPSIE RCO). 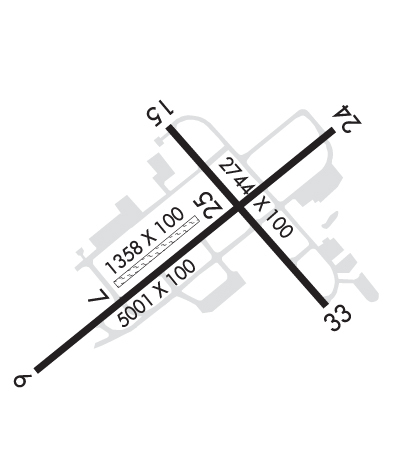 Clearance slope: 10:1 Clearance slope: RY 24 APCH SLOPE 4:1 TO DSPLCD THR. Visual Glide Slope: Visual Glide Slope: 4-BOX VASI ON LEFT SIDE OF RUNWAY; USE OF VASI RSTD TO CATEGORY A ACFT ONLY. Comments: Comments: RY 33 +13 FT OBSTRUCTION LGTD POLE 160 FT FM THLD 150 FT LEFT.